If you're looking for a high quality double glazing and uPVC windows installation, or a new conservatory, speak to the experts now. We've provided many satisfied customers in the Sheffield area with a top class service covering all things replacement window and uPVC related for many years now, and we'd be delighted to show you why we're so popular in the area. We don't give you the 'hard sell' as we don't employ pushy salesmen: we're committed to providing a value for money, bespoke service to ensure you get the uPVC windows and doors or conservatory you want at a price that's easy to understand and that you'll be delighted with. To this end, we'll send a surveyor to visit you to assess your needs professionally and provide a full estimate for the work. Please call as we'd be delighted to help. As you can see from the list below, we offer more than just double glazing and uPVC windows and doors. For anything window or door related - not to mention high quality conservatories - we're the only people you need to call in Sheffield. We undertake all work to the highest standards using top quality materials, and all tradesmen are friendly, highly skilled and experienced. We want you to be be confident you've chosen the right company, so along with being able to point to an excellent local reputation, we provide a 10 year, insurance-backed guarantee on all work for your peace of mind. 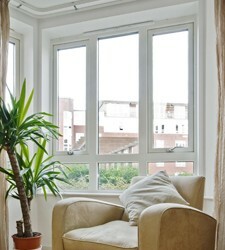 Discuss your requirements with the double glazing and uPVC specialist in Sheffield today. Call now for your free estimate on 0114 304 9660. We're so confident in the quality of our products and workmanship that we offer a 10 year guarantee on all work! We install a wide variety of uPVC doors. From a window unit repair to double glazing a full house call us and one of our team will help!